Early in 2015, entomologists in Michigan were concerned about the possible threat of the spotted wing drosophila (SWD) on tart cherries. 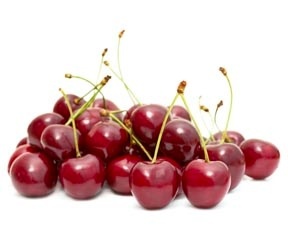 The same pest had wreaked havoc on soft fruits and berries, so producers in the nation’s largest tart cherry production area had the right to be worried. Red means the product should not be used during this time either because of EPA label restrictions or due to a high risk of exceeding MRLs for a given market. Yellow means the product should be used with caution during this time given all the variables (e.g., tank mixes, application method and calibration, use of adjuvants, environmental conditions post-application and post-harvest handling) that can impact the time it takes for a residue to degrade in order to meet the MRL for a given market. Green used in the chart means that the product is likely to be safe for use at this time with low risk of residue remaining at harvest that would exceed MRLs for a given market. Charts for apples and tart cherries are available on MSU.edu. Mark Whalon, professor and director of the Pesticide Alternatives Lab at Michigan State University told growers at the West Central Spring Horticultural Meeting in Hart, Michigan. Testing for pesticide residues in agricultural commodities can be completed using the QuEChERS is a Quick-Easy-Cheap-Effective-Rugged-Safe extraction method. While the original unbuffered method was developed for plant matrices, since 2003, two additional buffered methods were created and adapted to many additional matrices such as fruit. The rise in popularity of the QuEChERS technique and the increase in sample testing have driven the need for automation for this extraction technique. Teledyne Tekmar’s AutoMate-Q40 streamlines the two part QuEChERS method from the extraction to the cleanup step.